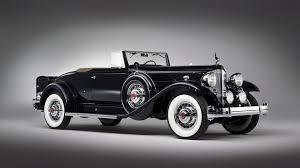 We have Classic Car Title Loans available at Phoenix Title Loans to those of you who own a Classic, Vintage, Horseless Carriage, Collector or Historic Automobile, Truck or Motorcycle. Our Classic Car Title Loans are available for any complete vehicle 25 years or older regardless of condition. Based on the condition and value of your vehicle you can obtain a Classic Car Title Loan from $500.00 to $100,000.00 DOLLARS! Our Classic Car Title Loans are structured similarly to all of our other Auto Title Loan products, but with a few key differences. Making a loan on what can be considered a classic car means that our policies regarding other auto title loans, such as whether or not the car runs, the condition of the car both mechanically and physically, etcetera, don’t apply here. Classic cars have value running or not running, so here at Phoenix Title Loans we’re willing and here to offer loans in situations where we normally wouldn’t. Let’s look at an example shall we? Let’s say you have a stunning Ford Model T, almost a century old, but of course given its age it doesn’t run. Many might simply think “Oh, why would they want to use my non-running car as collateral for a loan? That doesn’t make sense.” If this was you, you’re wrong! The fact of the matter is in these situations these cars still have value, sometimes immense value, and this value is all we’re looking for when making a loan. With 10 locations valley wide including Scottsdale, Tempe and Mesa we are sure to have a location near you. Simply bring your car to one of the stores and let our professional staff appraise the vehicle while you fill out a few forms and within minutes we will have a cash offer just for you. Simple process, courteous and professional staff and the comfort of knowing that your vehicle will be hel in our safe and secure storage facility until you classic car title loans has been paid off. Why wait? Get the money you need today with a Classic Car Title Loan through Phoenix Title Loans, LLC. Absolutely! While our competition will offer 30 day no payment on their loans, we’ll up the ante and come at them with 60 days no payment! That’s right, two whole months to get you back on your feet before you even need to make the first payment. We also have the benefit of accepting almost ANY vehicle as long as the title is free and clear. If it’s not yet, contact us and we can assist as best we can. And even IF you chose to go somewhere ELSE for your auto title loan Phoenix Title Loans can still help you out! We buy out title loans and even refinance title loans in case you feel it too much to handle. And at our location in Van Buren our Boat Title Loans customers have the benefit of us storing their boats with us while they pay. Free up time to get your loan paid and space around the home for whatever purpose in mind. What other Title Loan company is willing to provide these great services? Other than us, very few. Phoenix Title Loans, LLC, is unique to Phoenix, Scottsdale, Mesa, Chandler, and Tempe, in the sense that we can offer customer-friendly interest rates in town. As discussed above, we make you a cash offer. If you decide to take less than half of the cash offer we’ve given you, then we can offer interest rates as low as 60% APR (can be subject to other qualifications)! There’s nowhere else in town that will come close to that rate, and if you need more than half, you can find out other ways to lower your interest rate here. One of the best features of Phoenix Title Loans is our multiple locations across the Valley of the Sun. Instead of desperately searching for an auto title loan Phoenix store, just look to us! We have eleven locations spread throughout the Valley, in Phoenix, Scottsdale, Chandler, Avondale, Mesa, Tempe, Casa Grande and so on. We even provided the kinds of auto title loans Casa Grande locals would want! And customers keep coming back to us as the auto title lender choice when they need a financial problem solved!